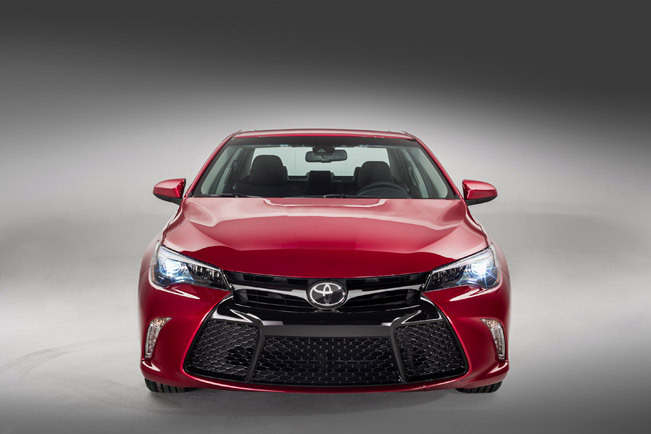 2015 Toyota Camry is undoubtedly one of the best-selling cars in North America. 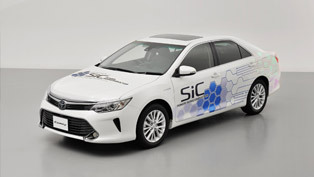 Now the model is ready to go on sale in late September, featuring some innovations. 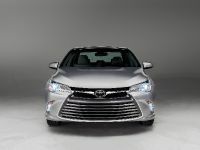 Toyota says that it has remade the 2015 Camry and Camry Hybrid with a bold new exterior design, improved dynamic performance, a premium interior and adding more innovative safety technologies. 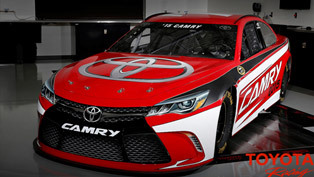 Camry will be offered in four trim levels: LE, SE, XSE and the top of the range - XLE. 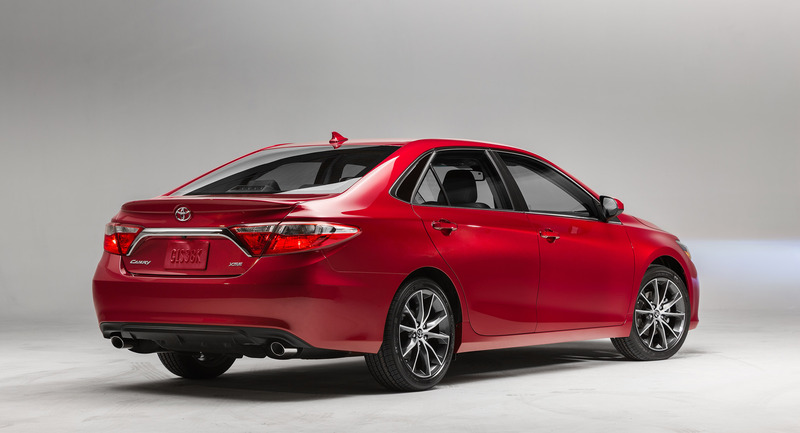 Entirely new addition to the line-up is the XSE, which is the sportiest Camry yet. 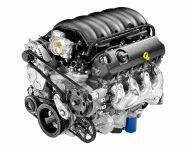 All models will be powered by the standard 2.5-liter four-cylinder engine. 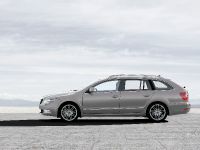 The unit generates 178 horsepower (130 kW) and 230 Nm (170 lb.-ft.) of peak torque. 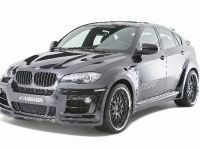 It is coupled with a standard six-speed automatic transmission. 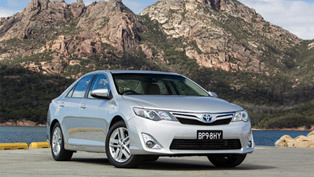 This combination delivers EPA-estimated 25 MPG city/ 35 MPG highway/ 28 MPG combined fuel economy. 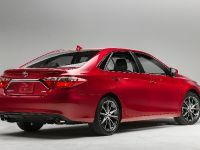 XSE and XLE trims will also have the option to be powered by the 3.5-liter V6 engine. 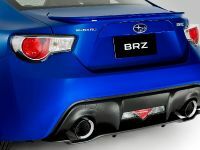 It will be mated to a six-speed automatic and will generate 268 horsepower (197 kW). 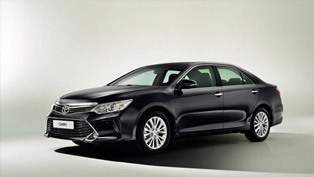 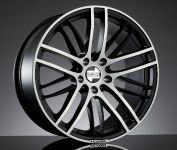 Furthermore, the LE and SE will also include wide range of standard equipment such as 8-way power driver's seat with power lumbar support, shift lever boot with contrast stitching, satin chrome interior accents, passenger window auto up-down, chrome front upper grille and rear trunk garnish and heated outside mirrors. 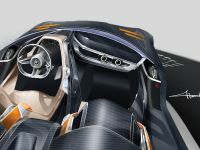 On the SE, the customers will also find a 4.2-inch TFT multi-information display and direct tire pressure monitor system. 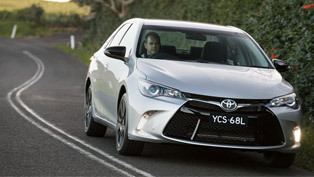 Camry XSE and XLE add more standard features over the LE and SE. 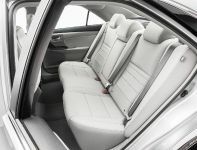 These include leather-trimmed seating with multi-stage heated front seats and four-way power passenger seat on the XLE or leather-trimmed seating with Ultrasuede inserts and multi-stage heated front seats and 4-way power passenger seat on the XSE. 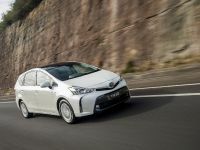 More standard features include Entune Audio Plus multimedia system, LED daytime running lights, 17-inch alloy wheels with a super chrome finish on the XLE and 18-inch alloy wheels with machined face and black paint for the XSE. 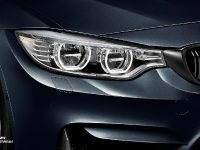 These versions equipped with the V6 engine will add also LED high and low headlights, Smart Key entry, Entune Premium Audio with Navigation and App Suite including a 7-inch High-Resolution Touch-Screen Display, power tilt/slide moonroof and Qi wireless charging capability. 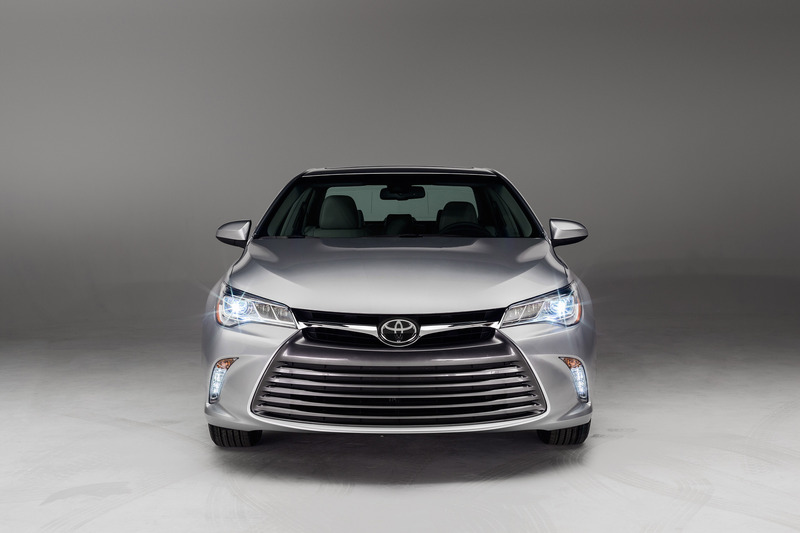 Next, the 2015 Camry Hybrid will be offered in three grades: LE, SE and XLE. 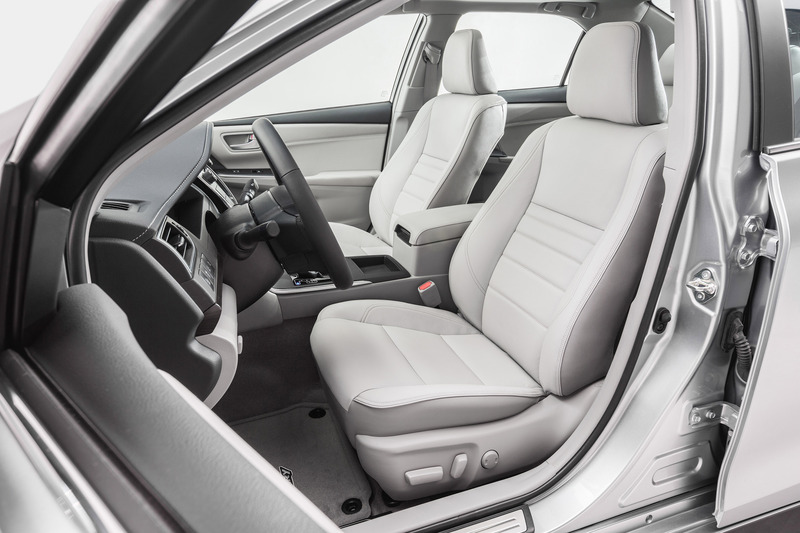 The LE adds as no cost option 8-way power driver's seat including power lumbar and the 4.2-inch TFT multi information display. The SE trim level adds Sport fabric SofTex-trimmed front seats with seatback pockets, 8-way power-adjustable driver's seat with power lumbar support, leather-trimmed tilt/telescopic three-spoke steering wheel with Bluetooth hands-free phone and audio controls and silver interior trim. 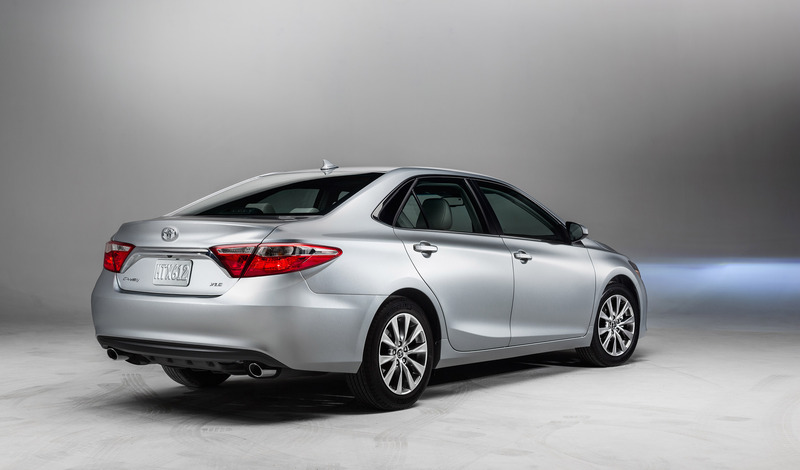 The top of the range, the XLE adds standard leather-trimmed seating with multi-stage heated front seats and 4-way power passenger seat, LED daytime running lights, direct tire pressure monitor system and 17-inch alloy wheels with super chrome finish. 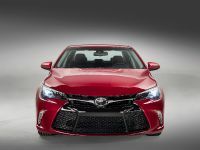 In terms of safety, all 2015 Camry models come equipped with 10 airbags, STAR Safety System, including Vehicle Stability Control (VSC), Traction Control (TRAC), Anti-lock Braking System (ABS), Electronic Brake-force Distribution (EBD) and Brake Assist. 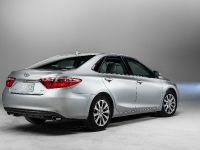 It also features the Smart Stop Technology brake-override system. 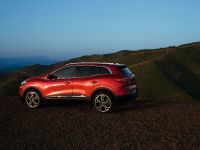 The advanced safety features here comprise of Pre-Collision System, Adaptive Cruise Control, Lane Departure Alert with Auto High Beam, and Blind Spot Monitor with Rear Cross Traffic Alert.